Creating one of the top internet subscription businesses that is both high-growth and profitable while staying true to the values of the brand. 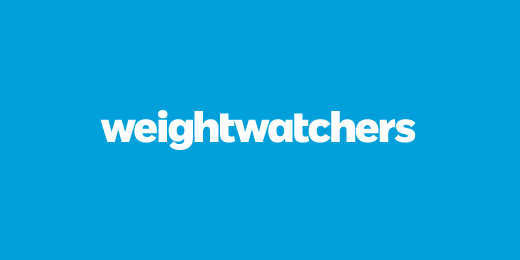 At the time of the acquisition of Weight Watchers International, Inc. (WWI) from H.J. Heinz Company (Heinz) in 1999, WWI had little Internet presence. We identified the Internet as a potential risk for the Weight Watchers brand due to the indiscriminate flow of capital at the time into anything Internet. The risk of the emergence of new weight loss brands and of new business models that would negate meetings-based competitive advantages of Weight Watchers appeared high. One sizeable Internet weight loss competitor had already emerged and many companies were in the process of being established. Concurrent with the acquisition of WWI, we made the decision to launch a separate company, WeightWatchers.com, Inc. (WW.com) to be the exclusive Internet licensee of the Weight Watchers brand. A separate company, with the ability to provide a focused equity incentive, offered the only practical mean of recruiting a talented team to focus on Internet activities. The company was created on the day the WWI acquisition closed and, starting with zero employees, WW.com was incubated in the Invus office in New York. In addition to being a possible risk, the Internet was also a tremendous opportunity for Weight Watchers, both as a way to modernize the brand by providing Internet tools to meeting members and as an opportunity to extend the reach of the brand by effectively targeting "self helpers" who could not be served by meetings. From the start, the nascent WW.com team was given the charter to both be the global window of the entire Weight Watchers brand on the Internet and build its own Internet business. To reflect this dual charter and enable a proper relationship between WWI and WW.com, we established a sophisticated contractual framework between the two companies, guaranteeing control over the brand by WWI, while enabling WW.com to build and sustain its business and reap the rewards of its investment. As part of the license grant, WWI became an approximate 20% shareholder of WW.com, and WWI also obtained warrants in connection with issuing a loan of approximately $35M that funded the development of WW.com. The team always envisioned that WW.com would have a paid subscription business model. While obvious in hindsight, this decision was met with uniform laughter on the part of every Internet "guru" (this was 1999 and all the talk was about the value of "eyeballs", even if they had no way of translating into income). Convinced that consumers would be ready to pay for an Internet offering that would truly help them lose weight, our collective vision persevered and we focused on recruiting a management team that shared this vision. WW.com’s vision called for heavy investment in technology to build Internet subscription products that truly helped users lose weight and were in keeping with the Weight Watchers brand, while gaining marketing efficiencies because of the Weight Watchers brand. All Internet weight loss competitors configured their business model differently, spending heavily on marketing and delivering a simple meal-plan-based internet product that did not require significant investment. From the time of creation in 1999 to 2006 WW.com grew revenues from 0 to over $130M. Operating margins reached 34.5% in 2006, after paying a 10% royalty to WWI. In 2005, with WW.com a resounding success and ready for liquidity, WWI assessed its licensee as a strategic asset and preempted an IPO by acquiring full ownership of WW.com in a series of transactions based on an enterprise valuation of over $550M (to date total equity investment in WW.com had been $100K and a $35M WWI loan had long been repaid). The management team of WW.com stayed with the company post acquisition and took on major global roles at WWI, including CEO and COO. WW.com continued to thrive under Weight Watchers International, with the number of active paid subscribers to Weight Watchers Online passing the 1 million mark in 2010 across 8 countries. And well over 1 million meeting members subscribe to Monthly Pass, commitment plan and weight-loss tools powered by WW.com.